We love new customers but due to high demand, we’re not taking new clients at the moment, just whilst we catch up. In the meantime please feel free to email Lucy@yourspark.com.au to discuss your needs and hopefully we will be able to help you soon. 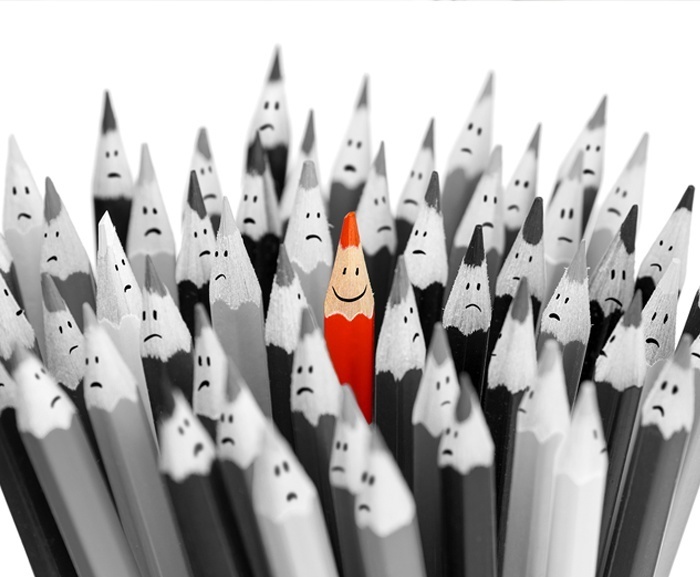 What makes you stand out from the pack? The key to a successful job application is to make people want to meet you in 30 seconds or less. The market has shifted drastically and many talented people are struggling to get interviews. To get on the shortlist it’s essential that you grab attention with compelling content and high quality applications. At Your Spark we are all about helping professionals to stand out in the job market with a compelling message about who they are and what they can offer. We believe in helping people get the jobs they really want by providing clarity about what makes them stand out and step changing the quality of their applications. We created Your Spark in response to the high demand for assistance cutting through in the modern job market. We use our unique blend of marketing expertise, recruitment industry knowledge and strong commercial experience to build an authentic professional positioning for our clients. Then we show you how to bring it to life effectively. We can help you optimise your professional profile on LinkedIn, write a winning resume, provide interview coaching and advice for success on the job. Everyone has a “Unique Spark”; the individual package of skills, experience, talents and personality that make them effective in their chosen career. By getting to know you, and using tools like our exclusive Your Spark strengths profiler, we can help you define your own unique Spark. We then turn this into a compelling professional positioning statement which will differentiate you from the pack and grab the attention of potential employers. Know what makes you unique and what value you can add to an organisation. Have a live professional profile you are proud of. We’re not here to make you look like you are someone that you are not. We are here to help you articulate the best version of your professional self and make people want to meet you. There aren't enough three to four syllable words to describe what Lucy does. Not only is she a joy to deal with, but she helped me turn my resume into a compelling marketing tool. She helped me nail my summary section, and more importantly helped me craft my resume to reflect that I was an "achiever" rather than a "doer". My job descriptions were task based rather than results based and she managed to help me create excitement in the words. Within a week of using Lucy's resume, a secured myself interviews, which helped me land a that elusive new job. I can't rate her highly enough and am influencing all my friends about the benefits of using a professional resume writer. Thank you Lucy for helping me make a boring resume into something dramatic and punchy!" I am pleased to say I have accepted a job! I can't thank you enough for the assistance & support you gave me in those early weeks. Having not interviewed for years I really appreciated your advice and the documents you sent me were so helpful. Specially the 'preparing for an interview' info - the examples of behavioural questions you provided really helped me prepare & were commonly asked - so thank you so much. "Your Spark" provided an excellent service assisting me with transitioning my career from a day to day systems administrator to a consultant providing leading edge infrastructure solutions for multi-national and Fortune 500 organisations. They were able to help me put my best foot forward by marketing my skills online and on paper, allowing me to stand out from the crowd and attract attention from desired employers. Whilst there are a number of career services available, "Your Spark" was able to understand and interpret my technical skills and experience providing a unique service in the Information Technology Industry. I would strongly recommend anyone in the IT space to leverage “Your Spark” to take their career to the next level. I’m really happy. 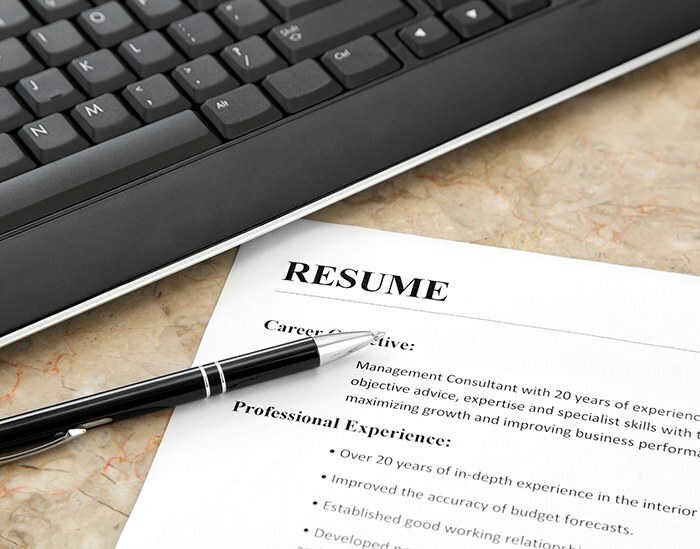 I have had an industry professional helping me to provide insights and assistance to develop 2 new resumes that are current to the market’s needs today. I was at a stage where I was getting sick of looking at my own resume and this impacted my ability to change it as much as it needed to, as in my mind everything was relevant (analysis paralysis!!). I would be happy to recommend you and your service to others and will do so. Many thanks – can’t say how happy and grateful I am. Lucy transformed my CV and online presence. Her collaborative approach made me feel a part of the process and once making my new CV and online profile live I immediately got a different reaction from recruiters and employers. I am getting more unsolicited connections and profile views over LinkedIn (to this day) and I secured a new role within a week of sending out my new CV. Lucy really showed me how I could present myself and my skills/experience beyond what I had thought of, I thought my CV was pretty good beforehand, but now I realise it was nowhere near where it could be. Thanks Lucy! I have been looking for a service like this for so long and am really happy. Your Spark not only provided me with a much better resume but also good advice about how and where to look for a new job. It reads so much better! You have done a great job. Well done and thankyou. I really needed to update my resume and online profile as I began looking for a new opportunity in a different industry sector after working in retail banking product management for 20 years. My resume was detailed and I had the experience, but I came across a bit dull, and my LinkedIn profile was sparse and had no cut-through. 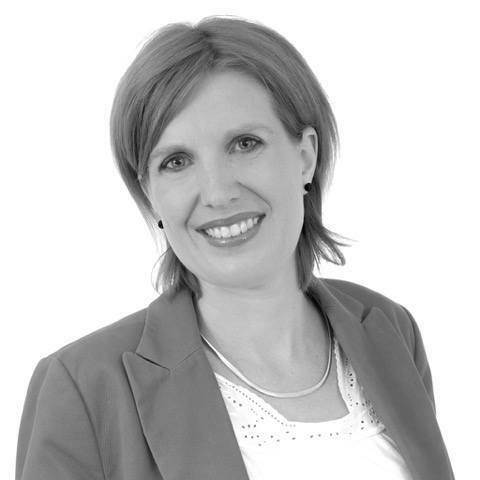 Lucy’s expertise and advice, and not to mention her creative and presentation skills, were central in transforming my resume and profile from being ‘dull reports’, to being exciting, lively presentations of me as a highly skilled and experienced professional who employers would be keen to engage. And it really worked! In just a short time, my reworked resume and profile got me in front of a number of potential employers, and I had secured a challenging and motivating position in a new sector within 2 months. Without Lucy and Your Spark, it wouldn’t have been possible. I’ve already recommended her to friend and colleagues! The new format and content of the Resume looks great and the LinkedIn profile as well. I updated my resume on Seek with the latest version and within 2 hours I have 2 visits to my Seek profile. This is the first time I have received notifications that my Seek profile has been viewed. This is very positive and I feel more confident. Your Spark Provided a strong foundation in building my resume as per local format. I started getting interview calls right away once I started uploading on to job portals which is a good positive sign. The resume format is so effective and covered all the required information in a well structured manner which always attracted the recruitment agencies to short list me immediately and I finally started getting calls. Really awesome and feeling more secure that I am now more effective in the job market." Lucy has not only transformed my Resume and LinkedIn assets, by facilitating a remarkable journey of discovery about my strengths, gaps and talents, but more importantly, this engagement has prompted a process of development around what inspires me professionally (even vocationally) so that I can fully appreciate and grasp the opportunities before me now - and with a new confidence and clarity! Indeed a new Spark. Lucy’s resume writing skills are exceptional. She is fantastic at capturing the essence and of one’s strengths and presenting it well by being articulate and straight to the point. I had a really positive experience with Your Spark, and really appreciated all Lucy's work to give my CV a complete overhaul to position me for a transition into a totally new industry. Lucy really listened to me and took the time to understand my unconventional work experience, using her skills and experience to extract my transferable skills and achievements. I spoke with Lucy at length on a number of occasions during the process and appreciated her added advice on job hunting, positioning myself to companies, interviewing, and my public profile. I'm really happy with my new CV and will definitely use Your Spark in the future for any services I require regarding job applications and interviews. Lucy was great to work with. Her wisdom and straight forward style, combined to produce a sharp and tailored CV and Linkedin profile that were a 100% improvement on my old ones. They will no doubt open a lot more doors for me so it’s a small investment that will pay dividends quickly. I highly recommend Your Spark! Lucy's ability to bring a fresh approach to my resume and Linkedin was impressive. Lucy was able to extract important information and examples which allowed my resume to tell a compelling story. I am very pleased with the final result and am confident it represents me authentically. I would highly recommend Lucy if you are looking for a resume or Linkedin update. Updating my resume was a daunting task. I didn’t know what was relevant to demonstrate my transferable skills in a new industry and role. Lucy helped me articulate what I wanted in a role which translated into an updated and dynamic resume. I am pleased to say that I have landed a rewarding role in a tough industry to break into. Thank you Lucy. I love it! Thanks so much for what you have done, it's made a big difference and I can;t wait to get it out there in the market. I really just wanted to thank you from the bottom of my heart for all your assistance in creating such a great resume and LinkedIn account. You came into my life at a time that I wanted to make a change but didn’t know where to start, but I now have such a clearer picture and the tools to start looking. Thank you! You helped me so much and I highly recommend your services. You are very good at what you do which is why I keep referring my friends!! © Copyright 2019 "Your Spark". All Rights Reserved.